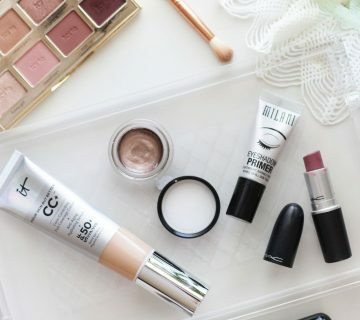 I’ve never been a powder foundation girl. It either never has provided enough coverage, or I have suffered from a horrible skin reaction to it (ahem, Bare Minerals). Well, then came along the Tarte Amazonian Clay Airbrush Foundation, and my thoughts and opinions on powder foundation completely changed. Warning: the below photo of me wearing not a stitch of makeup may prove to be disturbing to some – viewer discretion is advised. I purposely picked a day to take these photos when my skin was red and a bit broken out so you could see just how well this foundation covers. I had watched several YouTube beauty gurus rave about the stuff, so I picked up a sample from Sephora to try out before committing to the full-price product. Needless to say, I had low expectations that were blown out of the water – I picked up a full size the following week! For reference, I wear shade Light Beige. 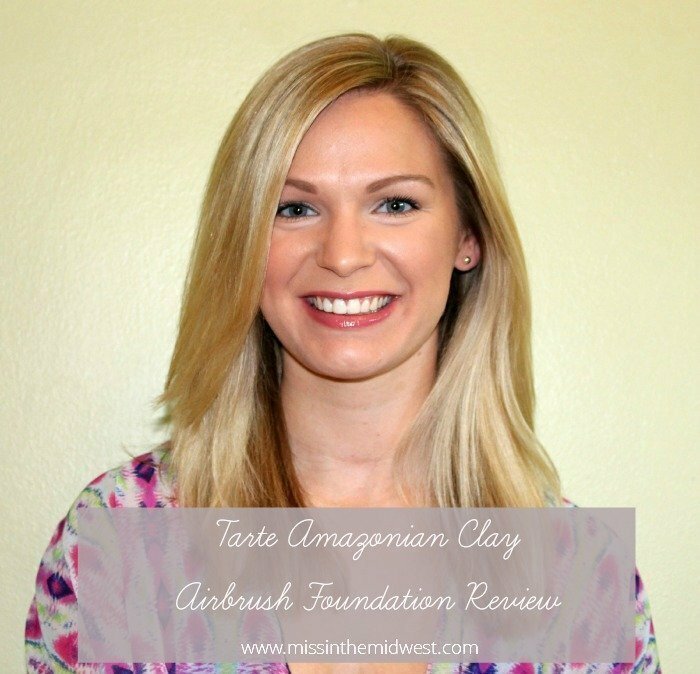 I’m not sure I would go as far to say that this foundation provides an airbrush finish, but I can say that it is the most natural-looking foundation that I own and wear while still providing a medium, buildable coverage. I typically only need one layer of foundation to get the coverage that I want, but sometimes (like in the above photos), I did an extra layer just on my cheeks to cover up some additional redness and spots. I didn’t purchase the Tarte brush that is supposed to be used with this product because, well, I didn’t feel like spending $28 on a brush. Instead, I use a Sigma F82 round kabuki brush to stipple and buff the foundation into my skin – it works like a charm! Even though this is a powder foundation, I do still set my T-zone with a light dusting of setting powder to extend the wear of the product. 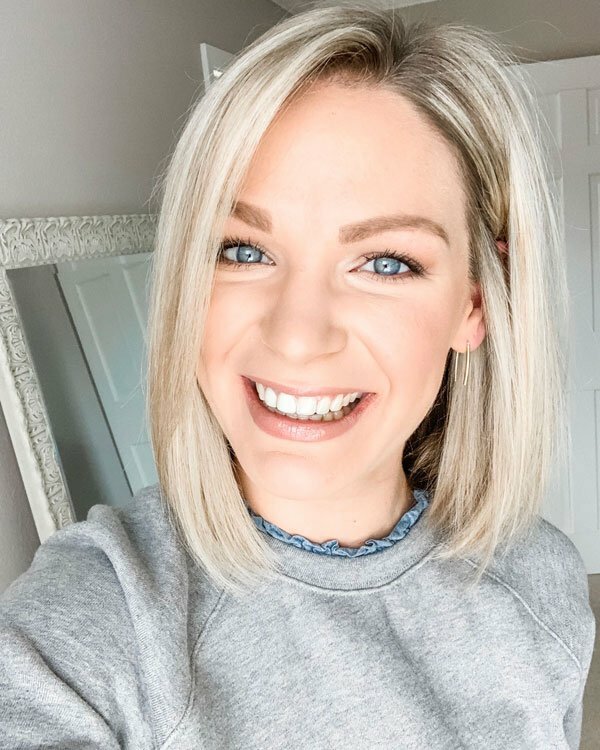 I can go a solid six to seven hours before the foundation begins to separate on my forehead and around my nose; however, this happens to me regardless of the foundation that I wear, so I don’t think it is a flaw in the product. I definitely will repurchase this product once my current container runs out, but I don’t see that being necessary anytime soon. 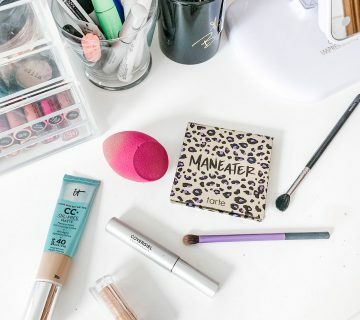 Be sure to check out this foundation the next time you’re at Sephora – if you’re in the market for a powder foundation with good coverage but one that still allows your skin to breathe, this could be the one for you! I like your step by step reveal- your final photo is so pretty! I love my Tarte concealer, i've been curious about some of their other products. I've been using Bare Minerals for a couple years now. 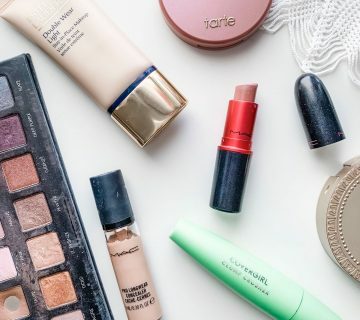 Did the Bare Minerals make you break out? I've got really sensitive skin, so that's why I began using it. It seemed like it helped but I still have problems from time to time. If they have a sample size, may be something I have to try! It looks great on you. Wow this stuff is awesome! I've never tried any Tarte products but I might have to try them out! I use Bare Minerals daily and don't have any issues with it but my skin isn't very sensitive. I think all the crazy stuff I've used on it made it pretty resilient haha! 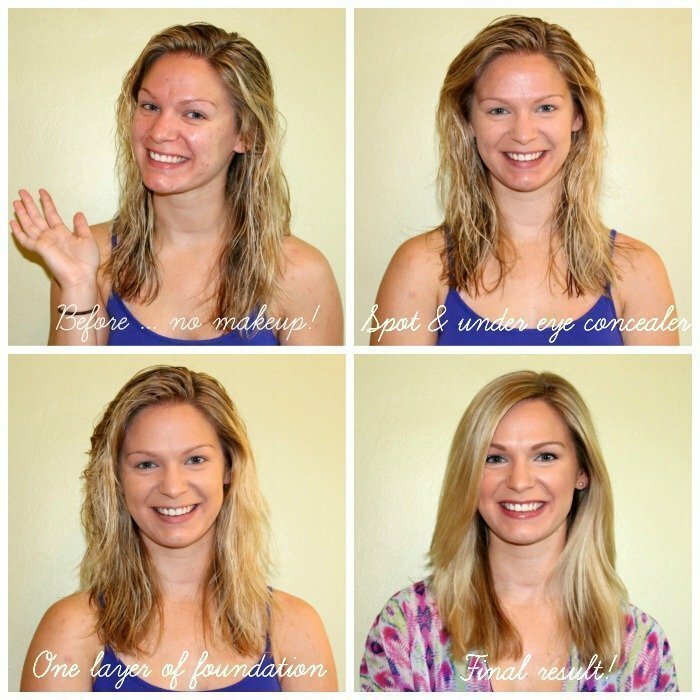 I love Tarte products, but I've never tried their foundation – it looks great though, you can really see the even coverage it provides, thanks for the review! Me too! It's a great brand of makeup, and better yet, it's all natural! Whoop, there it is! You definitely should try out their products – I've been nothing but pleased with all mine. Ummm this is so FREAKING cool! I love Tarte products! Girlfriend, this is awesome!! I really need to check out Tarte… I haven't tried any of their products! 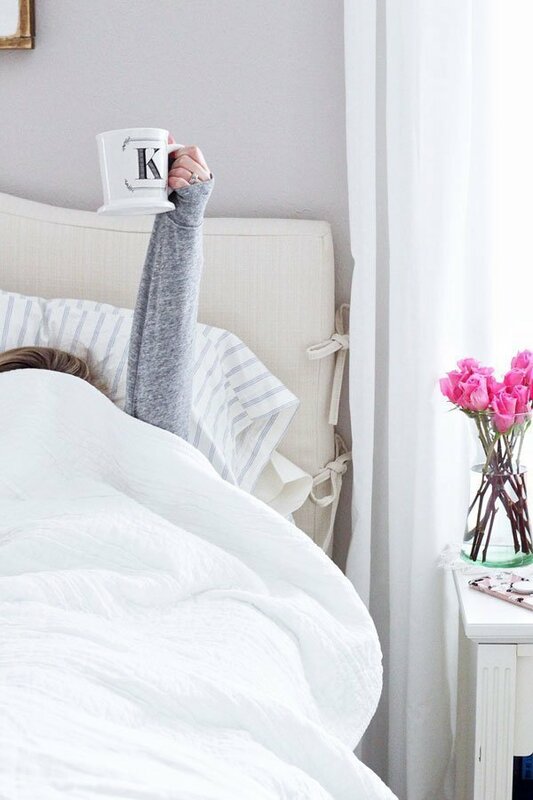 And it just so happens to be 30% off orders online – whoop!! 30% off on the Tarte website using code FANDF. Last day for the Friends and Family Sale! You absolutely should do that! It's best to let them color match you in the store since it can be kind of hard to tell with the powder. Exactly! That's what sold me on the product – I'm not sure I would have shelled out my credit card for the full product right away without trying it. I haven't had this problem, but my sister had a similar experience, and she ended up returning it. Obviously, we all have different skin so will have different experiences with foundation. I have combo skin, and I really don't get shiny until midday with this stuff. I can't recommend it enough! I never thought I could get such good coverage from a powder. Yes! My Sigma brush set was a Christmas gift a few years ago. 🙂 I love Tarte products, too since they are natural and don't have any weird ingredients in them – perfect for someone like me who has sensitive skin! You're so lucky! Sensitive skin is genetic in my family, so I really have to watch what I put on my face. Luckily, this product works great for me! I had a horrible skin reaction to Bare Minerals, but I know so many people rave about the stuff. I do use their concealer with absolutely no issues! You can get a sample of this foundation from Sephora – I'd be curious to try out the Tarte concealer, too. WOW it definitely looks amazing. I've never really tried any powder foundations, I think I need to go to Sephora and have them apply it on me so I can see what I think! I have never tried any Tarte products… which is just crazy!! I'm all about powder foundations (use Bare Minerals but no problems thankfully) so I'll have to check this one out. Love when you can buy sample sizes to try out before fully committing! I recently purchased this stuff too, but I have mixed feelings! I love the finish, but not the feel. Sometimes it feels oily after a couple hours and I am not an oily person. Maybe I'm applying it wrong. I don't know. Have you had this problem at all? Amazing before and after! Glad you finally found a product that you like, I know that you've tried many!